Vince Barnett is the numbskull secretary in Scarface (1932). Today’s posts are all Scarface gifs. Paul Muni throws a punch at a rival in Scarface (1932) as his boss Osgood Perkins looks on approvingly. Inez Palange with her two children, Ann Dvorak and Paul Muni, in Scarface (1932). Inez was born in Naples, Italy, and had 75 credits from 1930 to a 1958 tv episode, although most of her parts were uncredited bits. 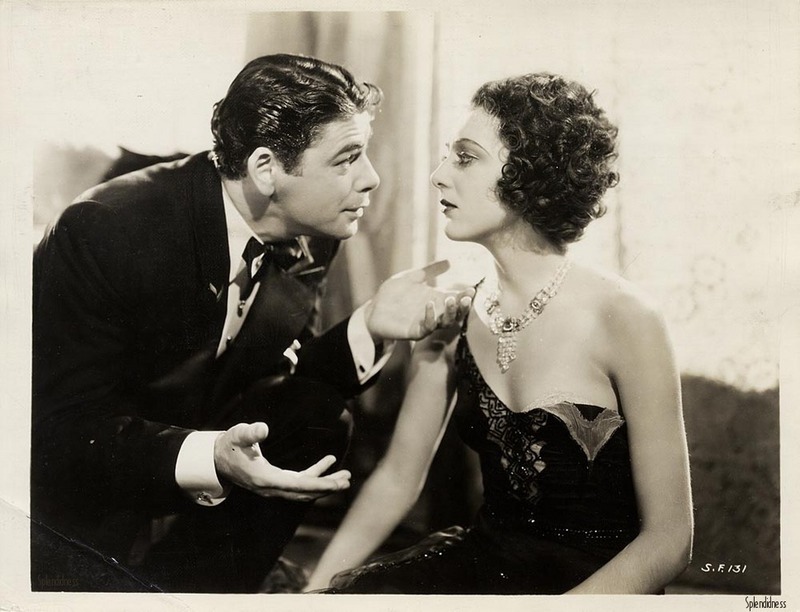 Paul Muni and Ann Dvorak are brother and sister in Scarface (1932). This was not technically Ann’s film debut, as she had three credits as Baby Anna Lehr (1916-20), and 30 uncredited bits (1929-1931). Howard Hawks was so pleased with his discovery, she was cast again with Hawks in The Crowd Roars (1932), as James Cagney’s girlfriend. 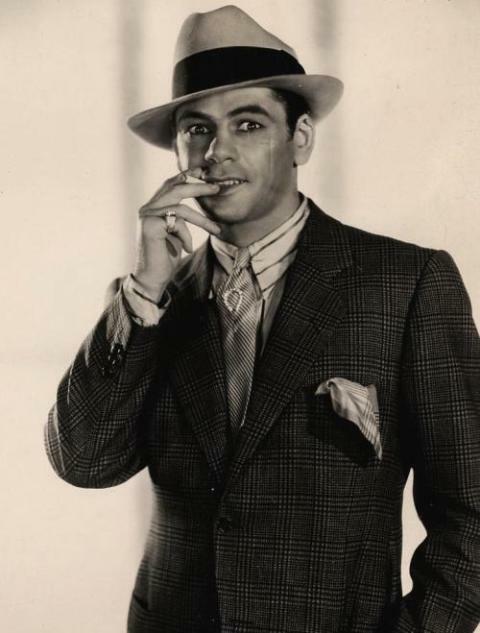 Paul Muni in a publicity still as Scarface (1932). This was Howard Hawks’ first sound film, after eight silent films at 20th Century Fox. 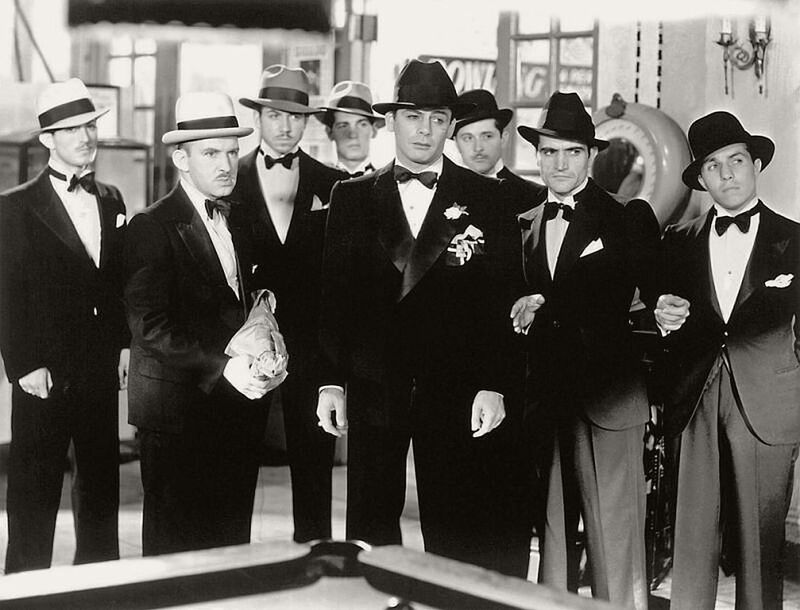 While Scarface’s release was held up by the censors, Hawks made and released The Dawn Patrol (1930) at Warner Brothers and The Criminal Code (1931) at Columbia.